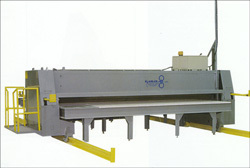 For more information about Klaisler products and information regarding used Klaisler equiptment please contact us. Shown with End Eject and Raised Rail. 98' per Minute Working Speed. The Truswal RolSplicer Chord Splicing Machine produces chord splices in seconds rather than minutes, reducing splicing time by up to 60%. 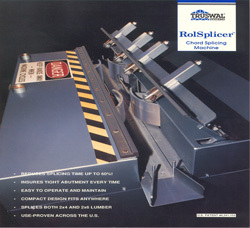 The RolSplicer uses a completely unique method of splicing lumber. 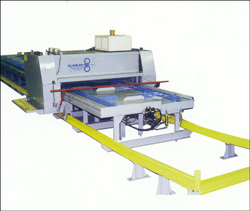 Two sets of mechanically-driven synchronized half rollers are driven by a chain and sprocket system. As the tow sets of rollers simultaneously push and pull the wood, tight abutment is held throughout the entire splice cycle, assuring a perfect splice.